The Congress alleged that its lawmakers were approached by BJP leaders, including Mr Yeddyurappa, who offered them cabinet posts in return for support. DK Shivakumar was instrumental in holding together the Congress lawmakers. Senior Congress minister DK Shivakumar today said he was instrumental in holding together the Congress lawmakers, who were allegedly being abducted and coerced into supporting the BJP in the crucial Supreme Court-ordered trust vote of Saturday. The floor test, which many said the BJP would lose, eventually did not take place. After an emotional speech in the assembly, BJP's BS Yeddyurappa stepped down. Ahead of the trust vote, two Congress lawmakers, who were missing since the results were announced on Tuesday, turned up. Pratap Gowda Patil and Anand Singh had not appeared for the assembly even on Saturday morning and the party alleged that they were being "held captive" by BJP leaders. Scenes from outside the assembly indicated a joyous homecoming. Arriving in the company of police officers an hour ahead of the trust vote, Mr Patil rushed past the BJP leaders, heading straight for Mr Shivakumar. He was given a warm welcome by the Congress lawmakers, which included a sumptuous lunch. 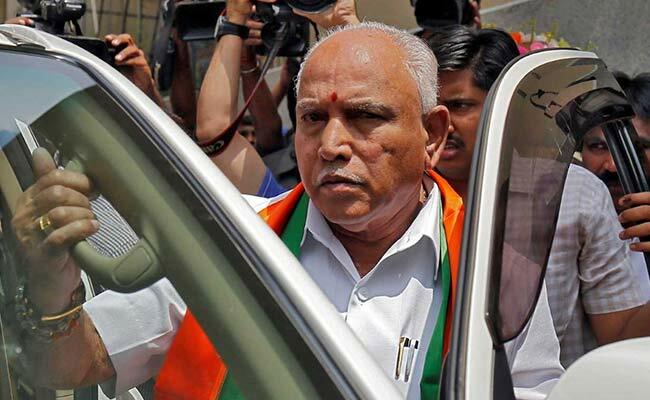 BS Yeddyurappa resigned as Karnataka chief minister moments before a floor test on Saturday. Asked about the reunion, Mr Shivakumar, one of the richest lawmakers in the Karnataka assembly, joked that it was because of the "magnetic personality god has given to me". Mr Shivakumar told NDTV that he had been in constant touch with the missing lawmakers. "Though they (some lawmakers) were taken away by my BJP friends, through my sources I was in touch with them... I brought them back". Asked if the BJP was keeping them by force, he said "there was nothing secret in it... they were playing politics, we also played some politics". The 56-year-old, who earlier attributed the party's electoral setback on the "local leadership", said he managed to convince Nagesh, one of the two independent lawmakers, to support the Congress even before the counting ended on Tuesday. He was taken straight to the Governor for the paperwork. DK Shivakumar did not name Siddaramaiah but blamed "local leadership" of the Congress for its loss in Karnataka. The Supreme Court had drastically cut down the 15-day period given to the BJP for trust vote amid questions of how the party will manage the numbers. With 104 lawmakers, the BJP was still 7 seats short of majority and for nearly two days, the Congress and JD(S) lawmakers were kept on the move to save them from poaching. The Congress also alleged its lawmakers were approached by BJP leaders, including Mr Yeddyurappa, who offered them cabinet posts in return for support. The party released several audio tapes, claiming they were proof of the telephonic exchanges. The energy minister in Mr Siddaramaiah's government, Mr Shivakumar was seen as one of the contenders for the top post in the event of a Congress victory and a possible change in leadership. 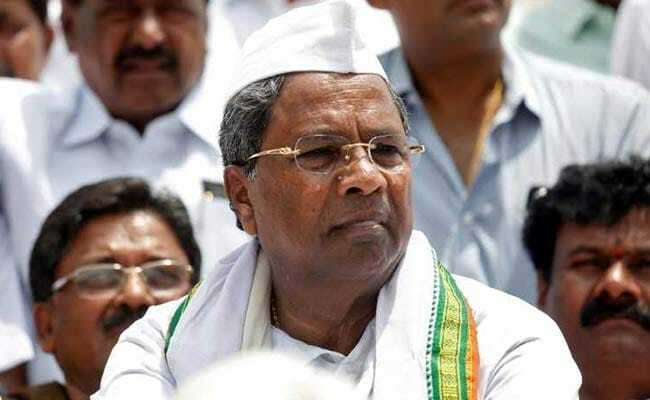 But following the last-minute alliance with the JD(S), the Congress has settled for the post of the Deputy Chief Minister -- a post that's likely to be filled by G Parameshwar, the chief of the state unit of the Congress.